Paddington originally formed part of the Sacred Heart Parish, Darlinghurst, but it is recorded that Mass was occasionally celebrated in a cottage in Underwood Street. 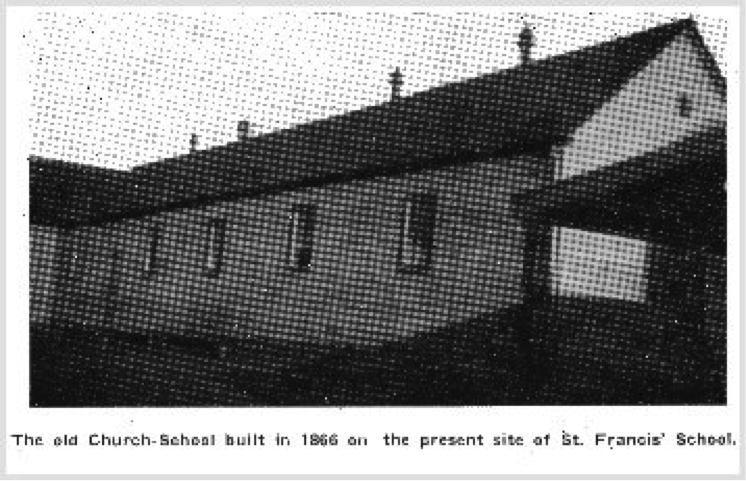 The school-church was erected in 1866 on the site now occupied by the present school building. It was built of Australian hardwood and measured 75 ft by 20 ft. It remained in use as a school until 1929. On May 12, 1866, soon after the erection of the school-church, Paddington and Double Bay, which at the time included Woollahra (now Edgecliff), were separated from the Sacred Heart Parish, Darlinghurst, and formed a separate district. The Franciscans were entrusted with the pastoral care of Woollahra and Paddington in November 1879 and Fr Martin Augustine Holohan was the first friar to take charge of both districts. 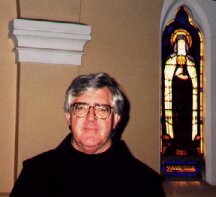 Fr Martin’s successor, Fr Leonard Dunne, OFM, was instrumental in securing a temporary church in Stewart Street, a property known as Glammis Hall. This building, made of galvanised iron, was originally a church in Scotland and re-erected in Australia as a Congregational Church in Bourke Street, Surry Hills. Later, it was re-erected in Australia in Stewart Street, Paddington, and used for “dances and entertainments”. 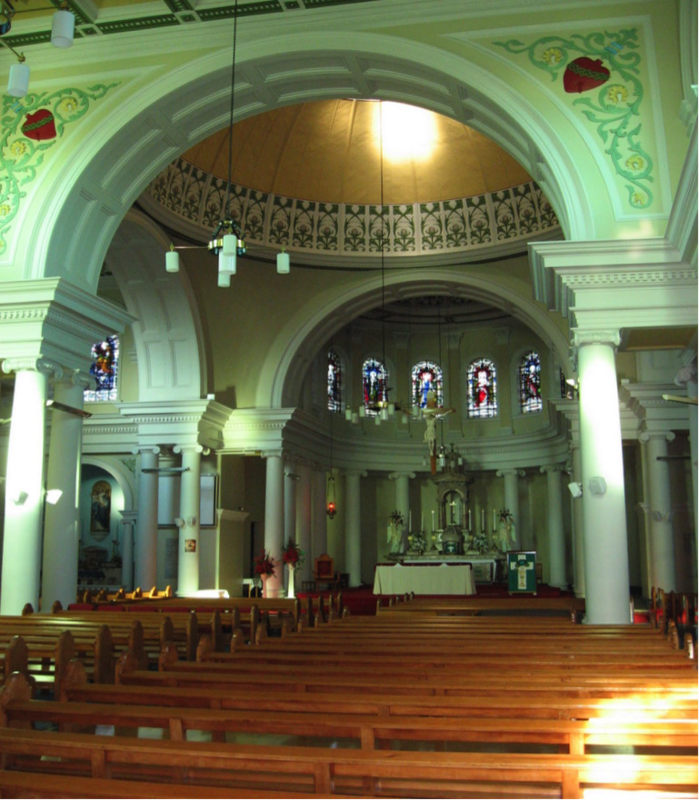 Fr Dunne paid 800 pounds for Glammis Hall and it became known as St Leonard’s Church in honour of the 18th century Franciscan saint, Leonard of Port Maurice, Fr Dunne’s patron saint. St Leonard’s was used as the Paddington church for five years and then later sold for 1 000 pounds, ending its days as a produce store and fuel depot. The site is now owned by Telecom. Paddington was established as a parish in its own right in 1877 and Fr Bernadine Lawler, OFM, became the first parish priest. The number of parishioners continued to grow. By 1890 a quarter of Paddington’s residents were Catholic, and nine per cent were Irish born. Paddington’s 25 per cent of population who were Catholic was exceeded only by the City (33%), Hunters Hill (38%), Redfern (28%), and Waterloo (27%). Paddington was more Irish and Catholic than most other metropolitan areas. It was obvious that St Leonard’s was too small, and Fr Bernadine began preparations for a larger church. The new church was to be named after St Francis of Assisi and built in Oxford Street adjacent to the old wooden school building. The architect was John Barlow, and the contract price for the nave was 4 500 pounds. The foundations stone was blessed and laid on March 23, 1889, a ceremony attended by about 1 000 people. Cardinal Moran officially opened the new church on Sunday, June 22, 1890, although only the nave had been completed. 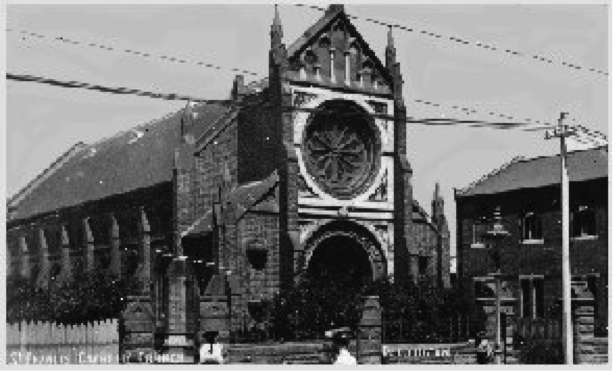 The cost of completing the building immediately was prohibitive and it was decided to make use of the existing portion of the 1890 church as the temporary nave of the new church. The new church, described as Italian or Tuscan Gothic, had an impressive facade facing Oxford Street. Coloured marble was incorporated into the basic sandstone and red tuck-pointed brick structure, and Venetian glass mosaics filled the spandrels around the rose window. The mosaics depicted symbols of the four Evangelists and the coat of arms of the Franciscan Order, according to an article in The Builders and Contractors News of June 28, 1890. Unfortunately, all of the mosaics have long disappeared, victims of time and pollution. The Freeman’s Journal said that “When completed with transepts and sanctuary the church will be one of the largest in Sydney.” But the 1890 church was never to be completed. In its incomplete state it soon became over-crowded, despite the celebration of five Masses each Sunday. (Canon Law at the time prohibited the celebration of Mass after midday.) 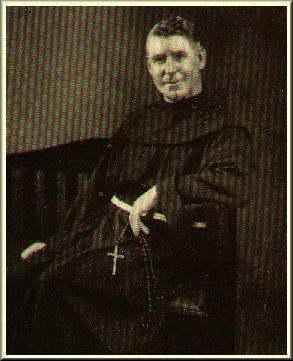 Archbishop Kelly, therefore decided in 1915 that the church should be completed, despite wartime conditions. It was obvious, though, that even if the church were to be completed according to Barlow’s plans it would still be too small for Paddington’s Catholic population. A new church was therefore commissioned, designed by Bart Moriarty, but it was to be constructed in two phases. Phase 1 included the sanctuary, sacristies and transepts. Phase 2 would have required the demolition of the 1890 church to make way for the far grander nave of Moriarty’s design. The foundation stone was laid on the last Sunday of July, 1917. The new building (the sanctuary, transepts and sacristies) was blessed and opened on Sunday, June 16, 1918. Phase 2 would commence once the parish had paid off the 10 000 pounds that Phase 1 had cost. However, Phase 2 never eventuated, so the present church consists of the nave of the 1890 church designed by John Barlow, and the transepts, sanctuary and sacrisities of the 1918 church designed by Bart Moriarty. 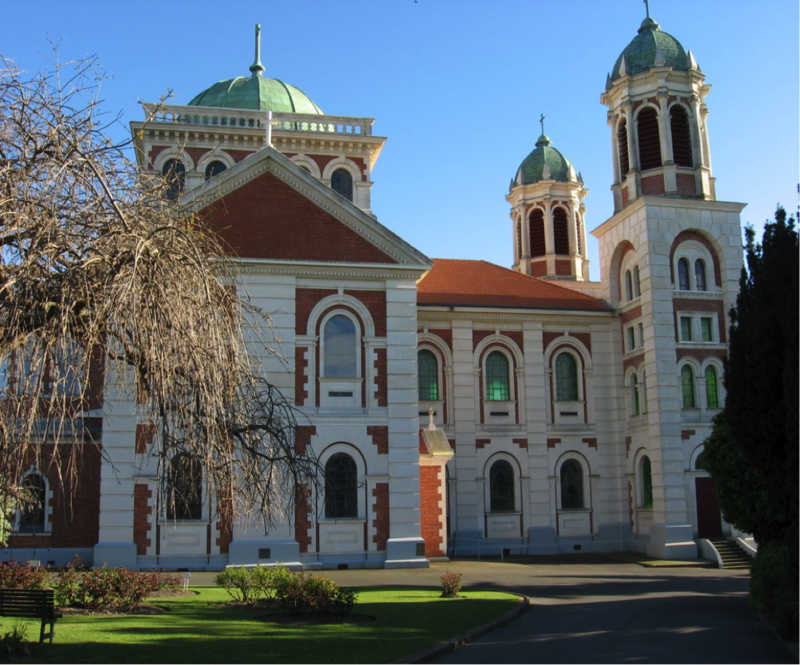 It is now clear that Moriarty drew more than a little inspiration for his design from the Sacred Heart Basilica in Timaru, New Zealand. 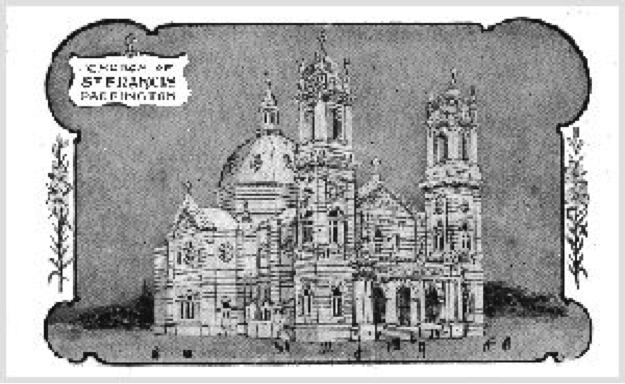 The parish priest of Timaru, Fr Tubman, had commissioned the noted Dunedin architect, Frank Petre, to draw up plans for a church based on photographs of the Thomas Aquinas Cathedral in Reno, Nevada. Fr Tubman had a brother on the staff of the Reno Cathedral and was inspired by that building during a visit in 1907. 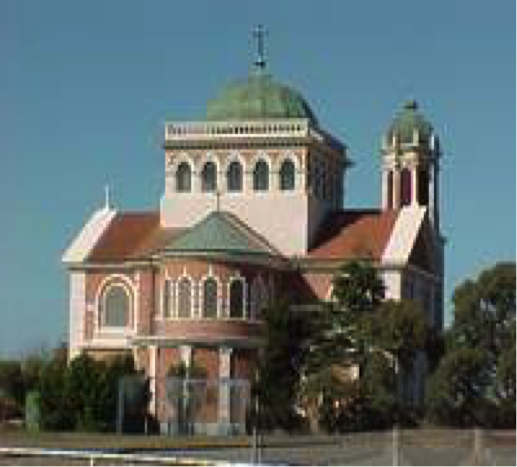 When work commenced on the construction of the Sacred Heart Basilica, the name of the building surveyor was Bart Moriarty. Below are early photographs of High Mass and a Holy Hour in the splendid Roman interior of Paddington church c. 1958. Mass is being celebrated by then parish priest Fr Patrick Reynolds ofm. 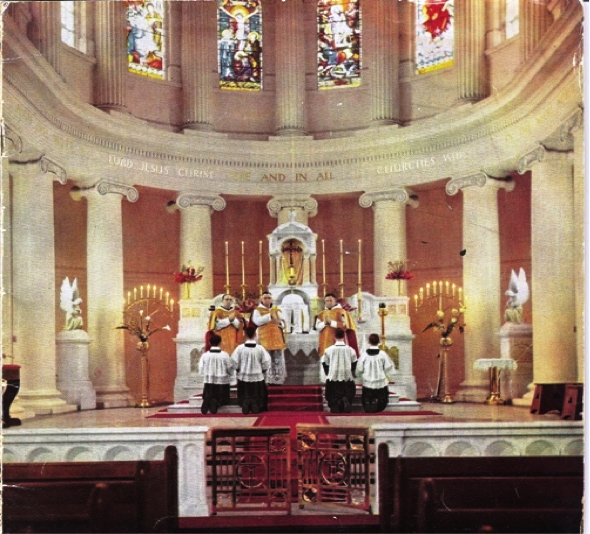 To the left is the interior of the church of St Francis Paddington in the late 1950’s, during Tridentine High Mass. The high altar was erected in 1928. The stained glass windows in the apse were designs from drawings by Herbert Moesbury, and installed by Frank G O’Brien Ltd in the mid 1930s. These windows, from left to right, depict the fundamental mysteries of the Christian faith: the birth of Christ, his Resurrection, and Christ sitting in judgement. 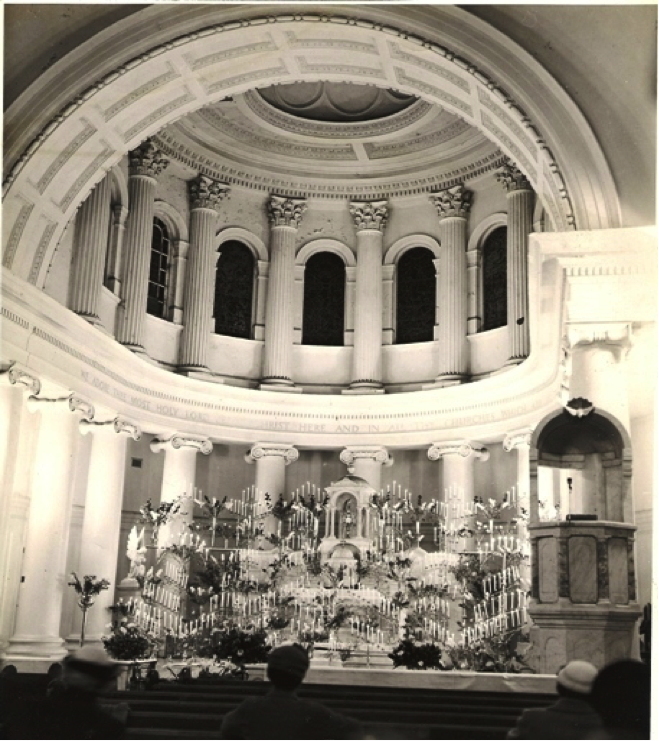 To the left is the interior of the church of St Francis Paddington in the late 1950’s, during one of the traditional forty hours devotions in the presence of the blessed sacrament – and the former marble pulpit is clearly visible. (in 2008) closest to the presidential chair. It incorporated a concave marble dome designed to project the preacher’s voice far over the pews. 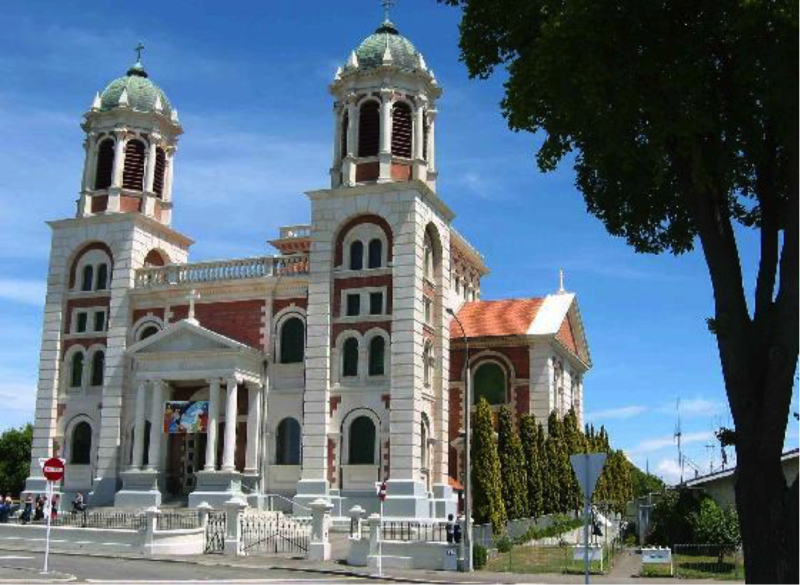 The line of succession in buildings is Reno’s St Thomas Aquinas Cathedral, Timaru’s Sacred Heart Basilica and Paddington’s St Francis of Assisi Church. Below are shots of the completed design at Timaru in New Zealand- with exterior and interior shots. Following the Second Vatican Council a number of changes were made to facilitate the celebration of the newly revised liturgy. In the mid 1970s a square timber platform was built in the crossing, in front of the old sanctuary, allowing seating in the two side chapels to be turned to face the altar platform. This created a closer contact between the celebrant and congregation during liturgical celebrations, but it also split the congregation into three blocks. Aesthetically, the square was at odds with the round arches, the dome and semi-circular apse. The sanctuary area as seen today is the result of renovations initiated by Fr Nick Lucas in consultation with architect John O’Brien. The renovations were completed early in 1990. The semi-circular terrazzo extension to the original sanctuary (replacing the timber platform) reflected the shape of the arches overhead. A new altar and lectern were built out of marble from the original pulpit and harmonised with the old high altar. The church was repainted and a new lighting system installed. The new baptismal font of brass and iron has as its pedestal the old font turned upside down. A new stained glass window depicting the baptism of Christ in the Jordan faced the newly positioned font. The font has since been moved again by a subsequent parish priest. The original pews, some made by Christian Brothers in the wood-work room of the old Intermediate Technical School, have been stripped to original timber and re-coated, and many have been altered to create the in-the-round effect. The presidential chair is new, but its design was taken from a 19th Century church furniture catalogue. Alterations to the sanctuary and pews, the preparation and erection of the marble work, and the installation of new lighting cost approximately $60 000. Painting of the entire building and the carrying out of other much needed structural repairs cost much more, but the cost was spread over several years.